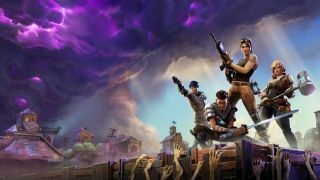 Will Fortnite streamers find a new home? After announcing an exclusive game streaming program in January this year, Facebook has now launched its very own answer to Twitch and other popular game streaming services. The new hub is dubbed FB.GG and will act as a homepage for all the game streaming content found on the social media platform. It’ll also be home to what Facebook is calling its “gaming creators” – gamers that the social giant has paid to exclusively stream on its platform. While the creator program has been in action for almost half a year, this new hub is designed to quickly and simply aggregate all gaming videos and live feeds, and Facebook also has future plans to add curated content such as game-related news and events. Facebook will be showcasing its efforts of community-building alongside some of its very own gaming creators at this year's E3 convention in Los Angeles under the new banner of Facebook Gaming. With the exponential rise in popularity of services such as Twitch, which has seen close to half a million concurrent viewers tuning in to a single livestream, it’s unsurprising that Facebook wants to capitalise on the medium’s success. With the infrastructure for live video already in place, and the userbase well and truly established, will Facebook be able to take the throne from Twitch, or will the streamers and viewers remain loyal?